Back in 2008 TaylorMade introduced the Spider putter, a high-MOI (moment of inertia) mallet that turned heads with its unique winged design. It became an instant success on pro tours, being used to hole putts to win majors, and its pure roll and balanced feel also made it a favourite among the weekend warrior brigade out on the course. So it’s understandable why the Spider design remained almost untouched in the past decade. While it isn’t a direct substitute for the original Spider, the new TaylorMade Spider X putter has a familiar shape and look but veers into slightly different territory. 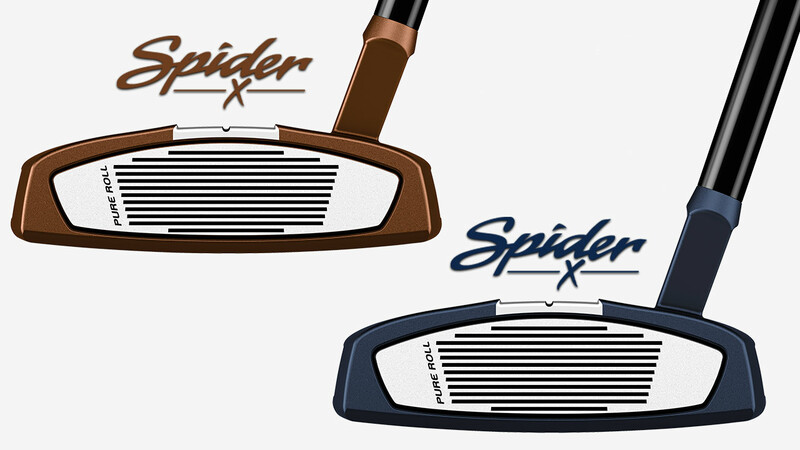 Designed to win over the non-believers, the Spider X rectifies the main beef that sideline-sitters had with the original: the notion that the head was too big and boxy. One of those golfers was none other than four-time major champion Rory McIlroy, who is now a fan of the new Spider X and has been playing it since the start of the year. No doubt echoing the thoughts of many golfers, McIlroy was keen to see a Spider putter with a smaller head and reduced wing profile. But TaylorMade weren’t about to modify the highly-successful Spider’s original design if it meant the MOI – the putter face’s resistance to twisting – wasn’t up to scratch. 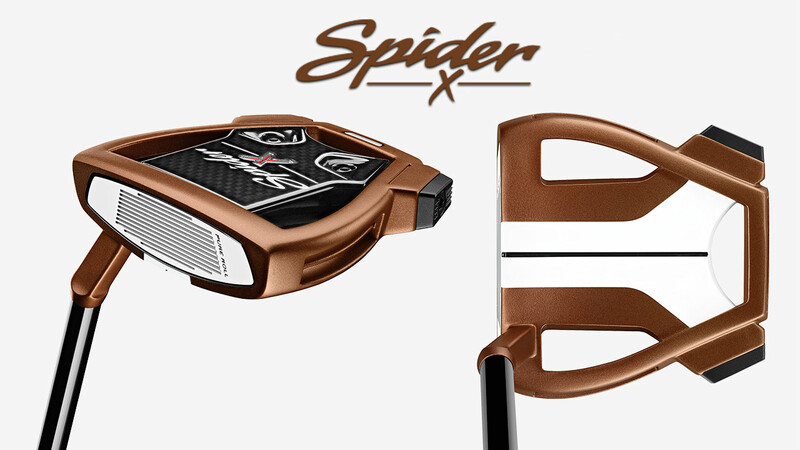 Fortunately, TaylorMade found a design solution that kept everybody happy: the footprint of the Spider X putter is five per cent smaller but the putter matches the MOI of the bigger Spider. But the TaylorMade Spider X moves beyond its namesake by outgunning it in the forgiveness department, with more weight concentrated along the perimeter thanks to the engagement of a lighter 15g composite core. The wings of the new Spider X have also been clipped, with the rear weight ports on the heel and toe far less prominent, making its appearance more palatable to those who thought the first Spider was a bit outrageous. And the Spider X's weight ports can be filled with a choice of aluminium (2g), steel (6g) or tungsten (12g) weights, making it simple to customise the feel of the putter. The new TaylorMade Spider putters still has the Spider DNA that drives its performance, but the new compact look is expected to appeal to a broader range of flat stick enthusiasts. Jason Day’s red paintwork might have been the signature flourish on the original Spider but TaylorMade have introduced two new colour options for the Spider X: navy blue and copper. The fresh finishes are complemented by a new alignment system called True Path, which came about after TaylorMade pored over 10 years of putting data and noted that from 12 feet, all golfers – including pros and choppers – were striking the ball out of the toe region two out of every three times. TaylorMade suspected there was a parallax effect occurring – the phenomenon where an object appears to change its position depending on the angle from which it is viewed – and sought to find a way to rectify it. Information gathered from Indiana University improved TaylorMade's understanding of how golfers' eyes perceive the putter head and ball, which exist on different viewing angles, at address. And it was those insights that led to TaylorMade developing a new alignment system for the Spider X called True Path: a high-contrast white track atop the crown, approximately half the width of a golf ball that has a thin black centre line notched through the middle. Everything about the Spider X putter is designed to focus on achieving correct and accurate alignment and TaylorMade are confident the new True Path alignment system will help golfers narrow their optical field of view so it falls just behind the ball. And with the eyes in that position, more putts should be struck out of the Spider X's dead centre. But for the traditionalists, a single sightline is also an option on the Spider X.
TaylorMade have long been the insert experts and by popular demand, the new Spider X has been fitted with a 5mm thick insert that offers a much softer feel. With the insert’s 12 grooves providing a smooth, forward-spinning roll, it offers premium distance control and consistency and integrates with the True Path alignment system to provide a striking contrast against the copper and navy blue of the new Spider X putters. A KBS CT Tour putter shaft, which weighs 120g, is extremely stable and its stiff flex reduces twisting for added consistency.